Residues of oil and lubricants or deposition of contaminations can cause to malfunctions. 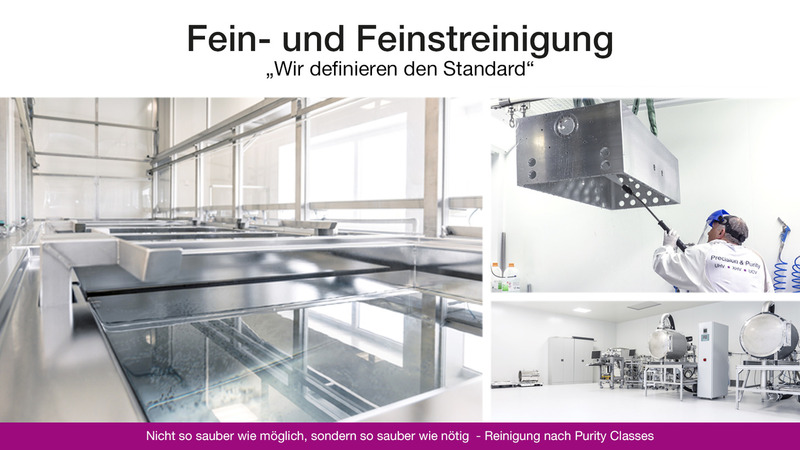 With our individual cleaning processes we guarantee a customer optimized cleaning result. This is ensured by the application of innovative detection methods on film and particulate contaminations. Currently we are able to clean your components of any geometry with maximum dimensions of 2000x2400x2300 mm³ and up to a weight of 500kg.